The news began with a picture Momoa posted to his Instagram account of he and director Corin Hardy sharing a frothy adult beverage or two to “seal the deal,” though it was not specified what deal had been sealed. 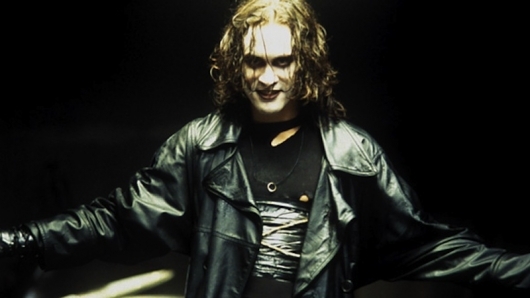 But considering the only movie that Hardy, who previously directed last year’s The Hallow, is currently known to be attached to is The Crow (though there was a time where it looked like he might be ready to walk away from the project), it seemed pretty clear. Mashable has since reported that they’ve talked to multiple sources who confirmed Momoa was in talks to them. The only strange thing is the report saying Momoa is “in talks” for the role. If they’re sealing the deal with some Guinness, it looks like there’s nothing more to talk about. Some of the other things Momoa has starred in include Conan the Barbarian in the title role, Bullet to the Head, and Stargate: Atlantis. We just found out earlier today that Momoa’s Arthur Curry character will be facing off with Black Manta in DC’s Aquaman standalone movie when it comes out in 2018. He’ll be appearing as the character before that showdown in the Justice League movie coming out in November of next year.